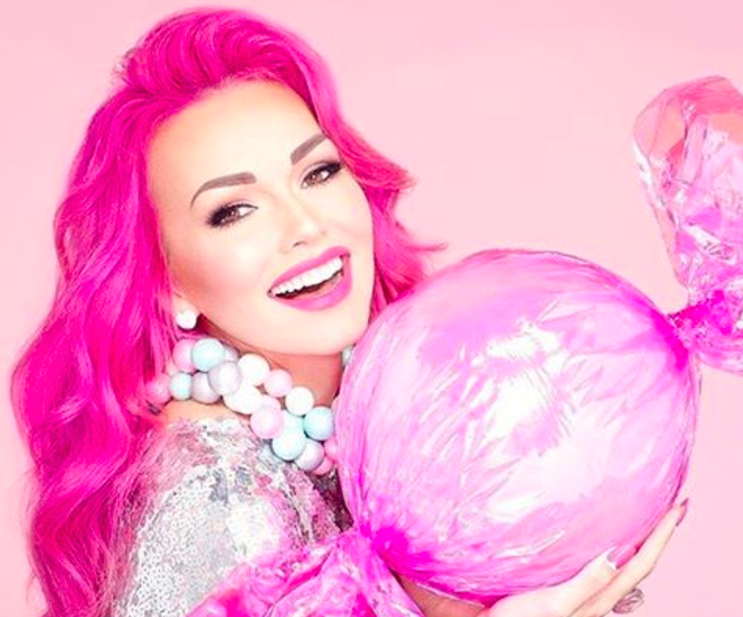 We’re still coming down from the excitement of finally getting a chance to lay eyes on the entire Kandee Johnson x Too Faced collaboration, it’s every bit as magical as we had hoped it would be! We figured there would be some additions to existing Too Faced collections, such as the new Melted Matte lipstick shades, but we are over-the-moon about their thrilling, first-ever banana pudding face powder! Have you ever heard of such a thing? Sure, we knew the eyeshadow palette would be vibrant and full of rich shadows, and that the lipstick shades would be to-die-for, but the banana pudding powder is totally out of left field and completely innovative! We are swooning over the whole collection, but we have honed in on the banana-scented face powder. It’s supposedly great for lighting up the face as well as covering up dark circles, a total must! We have a feeling it’ll give you a beautiful, natural glow while still being matte, since Kandee is usually a fan of the matte powder herself. No one does scented makeup like Too Faced, their subtle, gentle aromas are always comforting and sweet without being cloying or overly strong. Combined with Kandee’s imagination, we can’t think of anything more delicious than banana pudding makeup! What part of the I Want Kandee collection has you the most thrilled? We’ve also got our eyes on that palette, of course. Those shades are going to be our signature look come this fall! The limited-edition Kandee Johnson x Too Faced collaboration will be available at Ulta Beauty on September 3rd as part of Ulta’s 21 Days of Beauty. Now we’ve all got something to look forward to come fall!